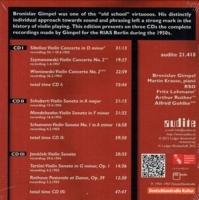 "This Bronislaw Gimpel edition presents on three CDs all recordings made by the violinist between 1954 and 1957 for the RIAS Berlin. Not only do they illustrate the striking violinistic profile of the artist, but also the stylistic palette of his repertoire. 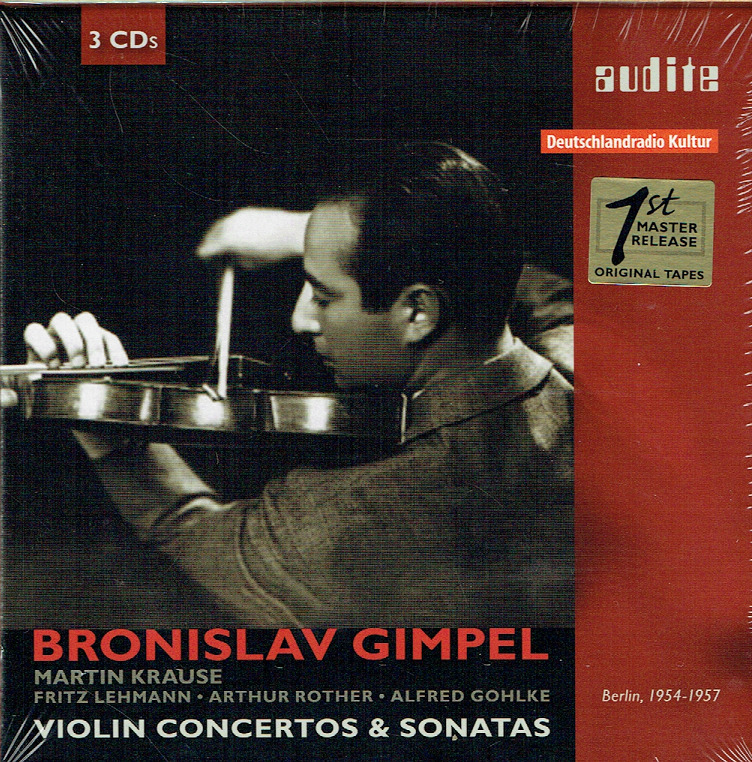 Bronislaw Gimpel (1911-1979) was one of the 'old school' violin virtuosos. His distinctly individual approach towards sound and phrasing left a strong mark in the history of violin playing. Gimpel was born in the Galician city of Lemberg, today’s Lviv in the Ukraine. He received his musical training at the conservatoires of his home city as well as Vienna, and at the Berlin Musikhochschule with Carl Flesch. 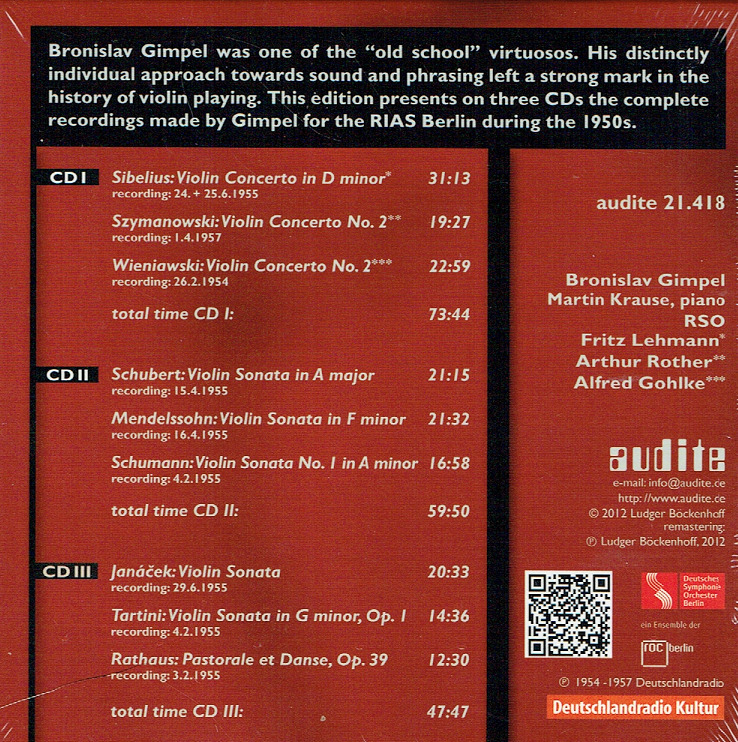 Gimpel established an international and versatile career as a soloist, concert master, chamber musician, conductor and violin teacher."